Aiden lovingly serenades Momma back to good health…. At the first sign of a headache or migraine, put your activities on hold and retreat to solitude, a quiet room. Turn off the lights. Sensitivity to light and sound is amplified with headache or migraine. Relax in a dark, Sleep if you can. Hot or Cold therapy has long been the number one self-care treatment employed for headaches and migraines. Apply hot or cold compresses to your head or neck. Cold packs have a numbing effect, which may dull the sensation of pain. Hot packs can relax tense muscles. Here’s one that does both!! 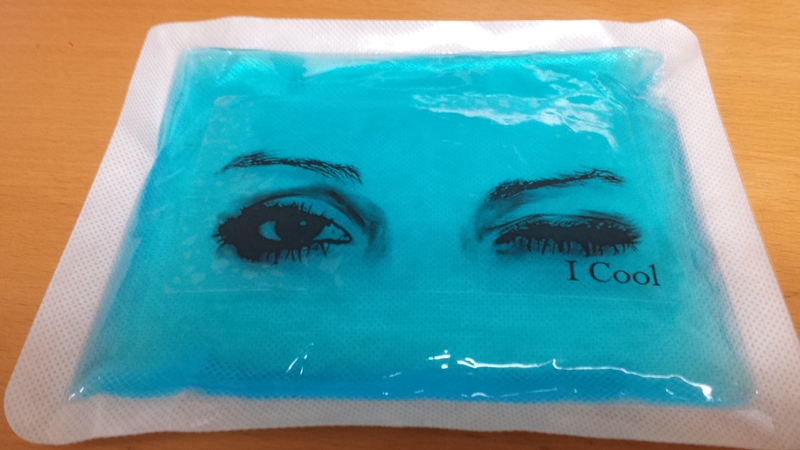 CDI T-450 Blue 7”x6” Hot and Cold Soft Side Therapy Gel Pack…This reusable gel pack can be used for Hot (microwave/stovetop) or Cold therapy. Great size for use after injections or a variety of surgeries. Features one soft-sided surface that shields the skin from direct contact with the frozen pack and radius edges for patient comfort. There are three benefits that ice pack provided. First, puffy eyes are common among individuals. Skin around our eyes is easy to loosely attached and lack of any sebaceous glands. When you apply cold pack around your eyes, it will help the fluids accumulating in your eyes tissues work well and help you get rid of puffy eyes. Second, when you get sinus and migraine headache pains, ice pack can help you reduce pains and make you feel better as It can low the temperature of your head and help you recover sooner. Third, ice pack can help you heal your injury in the cold. Because cold can constricts blood vessels and thus reduce blood flow and swelling around the injured area. Using ice pack can help limit your tissue damage and help your body recover. But remember remove ice pack after a brief cooling period as your skin is sensitive and don’t used to the cold condition. So when you want a speedy healing process, you should apply ice pack for ten minutes and put it off for ten minutes. Repeat this cycle several times during the day to help decrease further damage. ← Happy Cinco de Mayo! Now that You’re Thinking Mexico, Think Plastic Surgery.